I just recently (last night!) 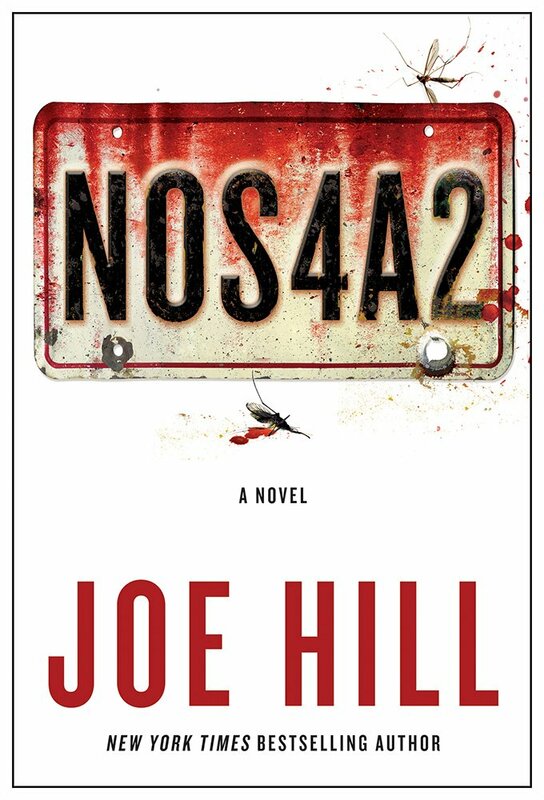 finished a book I have been so excited about for months and months now, N0S4A2 by Joe Hill. This spring is so great for new book releases, starting with Kate Atkinson’s Life After Life, Joe Hill’s book, The Ocean at the End of the Lane by Neil Gaiman in June, new books from both Sarah Dessen and Deb Caletti, a new Terry Pratchett book, Jaclyn Moriarty’s A Corner of White, and on and on. 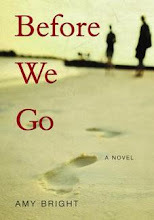 There will be quite a few reviews going up over the next few weeks and months as so many great books come out. I first discovered Joe Hill through his comic book series Locke and Key, which is about three siblings, their mother, and their uncle, who live at Keyhouse, a sprawling New England mansion located in the fictional Lovecraft, MA. The series has been published in five volumes and I think the sixth will start rolling out issues in the fall. It’s a complicated mix of horror, history, young adulthood, magic, mythology, and excellent storytelling. N0S4A2 (pronounced Nosferatu) filled the gap for me between the last and next installment of Locke and Key, and has resulted in me also picking up one of Hill’s other novels, Heart-Shaped Box (2007). As well, N0S4A2 is illustrated (intermittently) by Hill’s Locke and Key collaborator, illustrator Gabriel Rodriguez. N0S4A2 isn’t really a young adult book, but it spends remarkable time in its protagonist’s youth, a good quarter of the nearly 700-page book. Victoria McQueen is eight-years-old when the book begins, but she earns a nickname, “the Brat – Victoria to her second-grade teacher, Vicki to her mother, but the Brat to her father and in her heart.” When her mother’s bracelet is lost on a trip to the lake, Vic gets on her Raleigh Tuff Burner, a bike that she has had to grow into, and rides away from the fight between her parents. While she rides, she finds the Shorter Way Bridge, a covered bridge that she is forbidden to go near. Although the bridge already collapsed into the river below a year before the story begins and no longer stands in the real world, Vic finds that it opens up to her and her bike, and when she rides across it, it takes her to the place where her mother’s bracelet had been lost. The Shorter Way Bridge becomes Vic’s means of retrieving lost things – she gets on her bike and rides until she finds the bridge, and it leads her to the place that she needs to go. However, each time she crosses the bridge there is a consequence: she gets a horrible stabbing feeling in her left eye, and when she stays on the other side of the bridge for too long, she comes back weeping blood. Vic’s path crosses inextricably with Charles Talent Manx’s when she is seventeen-years-old, and she crosses the Shorter Way Bridge looking to find trouble. She finds Manx, a tall, skinny, old man with an overbite who drives a 1938 Rolls Royce Wraith with the vanity plate N0S4A2. Manx has a talent similar to Vic’s, but he uses it in a much different way. He is able to use the Wraith to drive to a place called Christmasland, one that exists as an idea in his own mind, yet made tangible and material. He drives children in his car, feeding like a vampire off of their unhappiness and using that to fuel his car and himself. After a narrow escape from Manx, Vic’s own life begins to spiral, as she can’t distinguish between fantasy and reality for the years that follow her discovery of the bridge and her meeting with Manx. When the story picks up again, Vic is in her thirties, married to a man named Lou who drove her away from Manx’s house on the back of his motorcycle when she was seventeen. They have a son named Bruce Wayne Carmody, and Vic has started writing a children’s picture book series called Search Engine as a way to stay still in reality. Manx, however, is back, escaped from the prison hospital he has been in for years (his heart removed during an uncompleted autopsy), and he is searching again for Vic and her bike (now a Triumph motorcycle). 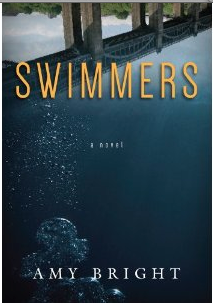 I could not put down this book. It came out on Tuesday, and I read it late Tuesday and Wednesday night. Hill balances his horror with outstanding characters and story, continuously layering elements of history, pop culture, and a New England mythos to create something truly unique. The inclusion of Christmasland, a place where every day is Christmas morning, is at once chilling and familiar. Hill’s characters are so well-written, especially the lisping librarian Maggie Leigh who gets her psychic insights from her Scrabble tiles, and helps to show Vic that her strange reality really is real. There are nods to Harry Potter and Amanda Palmer and everything in between in N0S4A2, where Hill has written an incredible story that really can’t be put down.